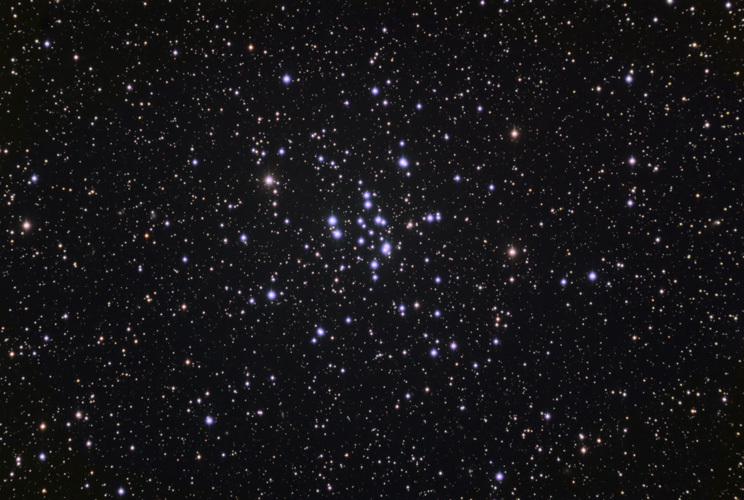 M34 is a loose open cluster that is bright enough to be seen with the naked eye under good conditions. It is about 1,400 light-years from our solar system. Technical Notes: Individual exposures were dithered using CCDAutoPilot2 and then sigma combined. The RGB image was created in Registar 1.0. A Gaussian Blur of 1 pixel was applied to the RGB image and Reduce Noise was applied to the dim portions of the luminance image.